FREE UK DELIVERY ON ORDERS OVER £30 - OVERSEAS DELIVERY FROM £5.99! Sign-up to our e-newsletter For THE LATEST updates and offers. 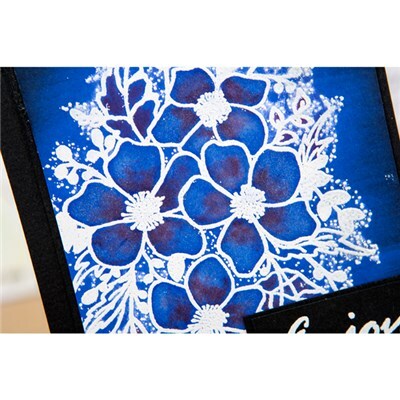 'Mixed flowers' has been created by Toni Darroch as part of the 'Stamps by Me' range. 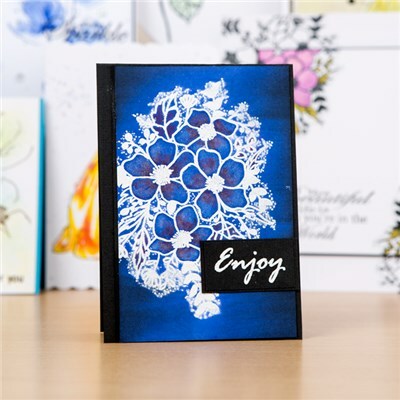 This beautiful image is the perfect addition to any card or craft project. The flowers are easy to colour using pens, inks and watercolouring techniques. 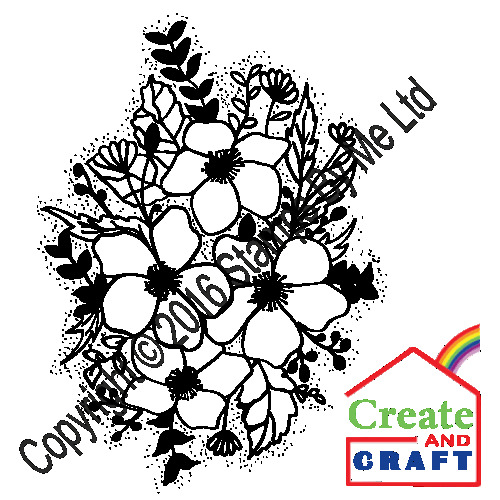 The stamp has been designed for all your crafting ideas from cards to scrapbooks and other projects. They work beautifully with other stamps from the same range. Use these stamps with a variety of materials such as inks, paints and embossing powders to create all your fabulous crafts. Helpful instructions of how to use these stamps safely, are on the reverse of the packet. STAMPS BY ME RANGE. A premium stamp produced to the highest industry standard ISO 9001. Each stamp comes with its own printed storage sheet, which allows you to keep the back of the stamp clean after use. We offer FREE delivery to all UK postcodes on all orders over £30. All customers in Northern Ireland and Highlands, please select delivery zone UK Mainland. We also offer a 'Collection in Person' option, which can be selected from the Delivery drop-down menu. Online orders for collection at trade shows and events must be placed a minimum of 48 hours prior to the event. For local collection please allow 24 hours. You will receive an email when your order is ready to collect. The level of service that we offer is very important to us; we will dispatch your order within 24 hours of you placing it. Our standard delivery is 3 Day-Tracked. Usually orders arrive within 3 days of ordering. We offer an upgrade to a 2 Day-Tracked at a cost of £3.99 per order for orders under £30 and £1.99 for orders over £30. This is a 2 day service and most orders arrive within 2 days of ordering. We also offer a Guaranteed Next Working Day Delivery in the UK only, at a cost of £4.99 if your order is under £30, and £3.99 if your order is over £30. The order must be placed before 11.00 a.m. and will arrive the next working day. All orders under £30; delivery is charged at £2.99. Customers from the Channel Islands, USA, Canada, Australia and New Zealand do not pay VAT. We do not charge VAT on digital tutorials. It is the customers responsibility to select the 'CORRECT POSTAGE' option in the 'DELIVERY' drop-down menu, which will remove VAT where appropriate. Please note that certain items are not available for delivery to the USA, Canada, Australia and New Zealand, due to prohibitive postage costs or safety regulations. Such items include Alcohol Inks and Card. Some countries may charge import duties on your purchases. These are administered by local customs at the point of entry to the destination country. 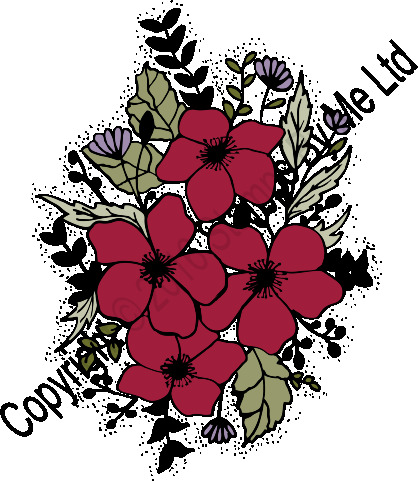 Please refer to your customs office as these matters are beyond the control of Stamps By Me Ltd.
We want all our customers to be completely happy with both the service and products they receive from Stamps by Me. For goods that are not faulty we will happily issue a refund or exchange. Goods must be received back within 7 days of receipt. Postage costs for sending back goods that are not faulty will not be refunded. We recommend that you use Royal Mails first class or standard parcel service in the UK, or 'International Signed For' service outside the UK, to cover you for any items lost in the post. When you shop with us, our secure server encrypts all of your personal information, including name, address and credit card information. We use Paypal and SagePay which are an industry leader in secure internet transactions. SagePay are used by thousands of other UK businesses for transaction security.